Being familiar with bridal shows is a great way to prepare yourself for wedding planning. 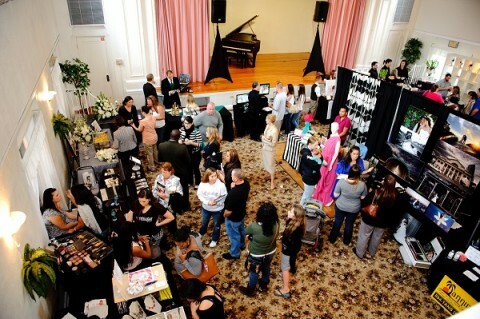 Bridal shows are a helpful way to interact with a variety of industry professionals under one roof. This one stop shop is the ideal planning tool for the modern busy bride! So get prepared to grab a bunch of brochures full of vendor information and make the most of your bridal show experience! You are still searching for a DJ, florist, videography, tuxedo and cake. When will you ever find the time to make the calls to find availability and pricing. Bridal shows are full of ideas and packed with others who share the wedding excitement you have. Not only do you get more information on the services you still need to book, but you can even possibly book vendors and finalize some wedding planning details. Take this opportunity to chat with vendors face to face to see if their services fit your needs! Each vendor is going to want to give you details on the various services and packages they offer. They are also going to require some information about your vision and how you want your special day executed. The vendors will also be looking for some basic contact information from you and most likely your budget. This will help them ensure that your expectations can fit within what you are willing to spend. Don’t just approach the vendor booth and ask, “hey, how much?” Yes, you have a budget that you want to stick to but you will also want to consider what is being included in each package as well as the training and experience the professional has in weddings. Be sure to ask questions regarding cancellation fees, back up plans, insurance and most importantly, contracts! Make a list of vendor priorities. What do you still need most? Once you decide on the bridal show(s) you want to go to be sure to pre-register for the event. You will likely become a V.I.B. *very important bride* and be given access to the list of vendors attending the show. This way you can see if any vendors you were already considering working with will be at that bridal show and map out a plan of attack. Which booths do you definitely want to visit, the vendors of high priority, and which vendors you can wait to book later. Be sure to take your checkbook or credit card to the bridal show since most vendors offer a “show special”. This is a discount offered to the to-be-brides that want to book any services that day. Saving money is always a plus with wedding planning. So be sure to do your research on vendors you are interested in before going to the bridal show. Hopefully you can take advantage of some savings! It is likely that any vendor you speak with that offers services that seem to fit into what you are looking for is going to follow up with you after the bridal show. The vendor just wants to be sure that you do not have any additional questions regarding their services. You may still be interested, or you may have decided to go in another direction and book a different vendor. If you have, obviously, that is fine…after all, this is your wedding. Just try not to keep the vendor who is following up with you on the line. Let them know you are no longer interested so that they can release the date and book services for someone else. Bridal shows are a fun and great experience, so gather your bridal brigade and enjoy a day of planning the beginning of the rest of your life!